The Greek islands are renowned worldwide not only for their stunning beaches and crystal waters, but also for their crazy nightlife and endless partying. The cheerful atmosphere, the friendly welcome, loud international music and extraordinary cocktails magnetize youths from all over the world to dance from dusk till dawn and have a great time. The best Greek islands for parties include Mykonos, Ios, Paros, and many others. And the best part? You can always take the ferry from one island to the other to not miss a thing! Mykonos Island has one of the most popular party scenes in the whole world, resembling the raging nightlife of Ibiza. Spotted all around Mykonos Town, nearly on top of one another, you will find bars and vivid nightclubs to party night long. From sunset to sunrise, there are also exciting parties on the major beaches of Super Paradise, Paranga and Paradise. Beach bars, like the famous Cavo Paradiso, transform into thrilling clubs with top international DJs, go-go dancers and exotic cocktails. Upon stepping foot off your Mykonos ferry, be ready for wild partying! In Santorini night out is pure magic! The breathtaking views of the island and its unique atmosphere guarantee unforgettable nights! 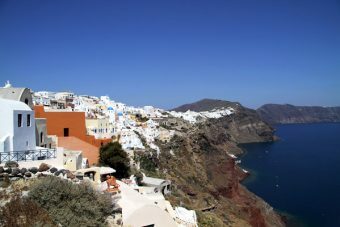 The best place for partying in Santorini is, hands down, Fira, the capital of the island. At Fira, you’ll find many bars and clubs open from night until the first morning hours. One of the best places for partying at Fira is Tango Cocktail bar, located at the caldera rim. This place has an amazing elegant decoration and organizes many amazing summer parties. Just imagine sipping your cocktail or champagne, enjoying a breathtaking view of the dark sea and the lighted town! Sounds dreamy, right? Right on the port promenades of Naoussa and Parikia, the two largest villages in Paros Island, there is an abundance of bars and vibrant nightclubs, offering endless fun hours. Some bars are lounge, while others organize all night parties with loud international music. 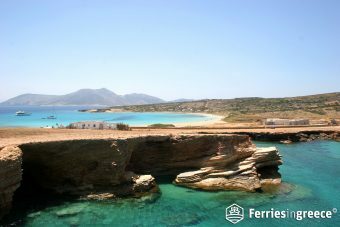 Accessible in just 3-5 hours with Paros ferry from Athens, the island is getting very popular as a summer break for university students. 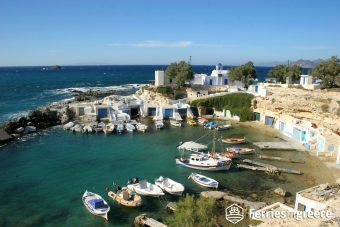 In fact, Pounda Beach is the most popular youth destination in Paros, with many beach bars, day parties and fun atmosphere. With a strong historical background, Rhodes island is surprisingly one of the best Greek islands for parties. In Rhodes Old Town, you will find a mixture of romantic bars and wild nightclubs to suit all tastes. Hippocrates Square is the most popular nightlife spot in Rhodes Old Town. Partying in Rhodes is also centered on the famous beach resort of Faliraki. 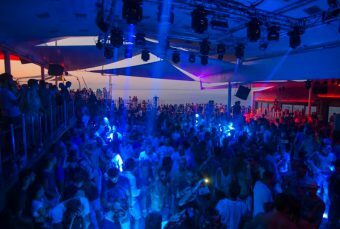 The hottest clubbing spots on the island are found in Faliraki, which is particularly popular among British tourists of 18-30 years old. Getting to Rhodes is easy, as Rhodes ferries depart frequently from Athens and from other islands of Dodecanese. Brilliant nightlife in Corfu can be found in lots of places, starting from the historic Old Town, which offers chic bars to enjoy a late drink in a laid back atmosphere. You can also experience a true fun night out at awesome parties in Dassia and Acharavi. Famous mostly among British tourists, the tourist places of Kavos and Sidari have very vivid nightlife, with beach parties, celebrated DJs, karaoke nights, open-air clubs and a wide selection of drinks and cocktails. 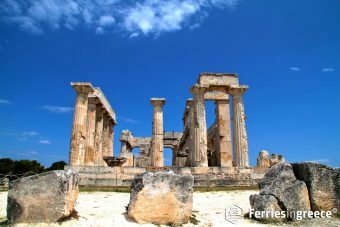 If you care for lively summer holidays, board a ferry to Corfu from the mainland port of Igoumenitsa Greece or from Italy. Zakynthos island is another great destination for partying. The ferry to Zakynthos arrives in Zante Town, where there is a wide selection of bars to enjoy fancy cocktails and dance. 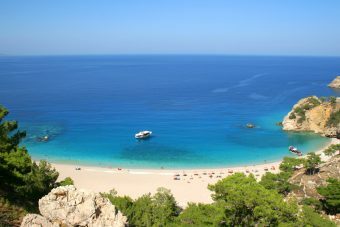 The most popular nightlife spots in Zakynthos are Tsilivi and Laganas, which attract mostly British tourists. Tsilivi beach, 6 km from the Town, is bustling with nightclubs and bars for all tastes, offering many chances for budget entertainment. 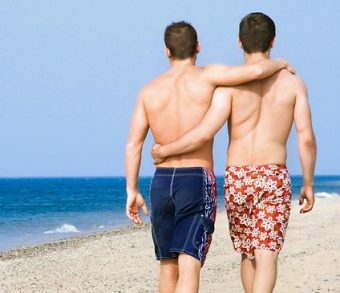 The busiest resort, though, is Laganas, with a lively coastline receiving a massive number of youths, which head to the numerous clubs to dance the night away, every summer. 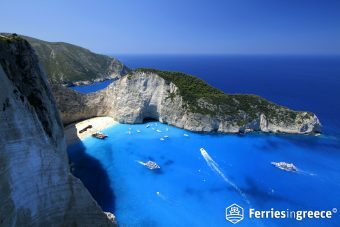 Offering easy access by Ios ferry from Athens, wonderful beaches and crazy carefree bars, Ios is one of the best Greek islands for parties. During peak season, the beaches and clubs in Chora get busy all day and night. 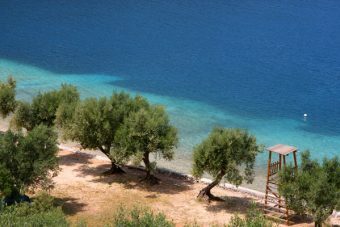 Chora, the main town of Ios, has wild nightlife, while Mylopotas is the top beach party scene. Loud music plays all day and night and dancing never stops.